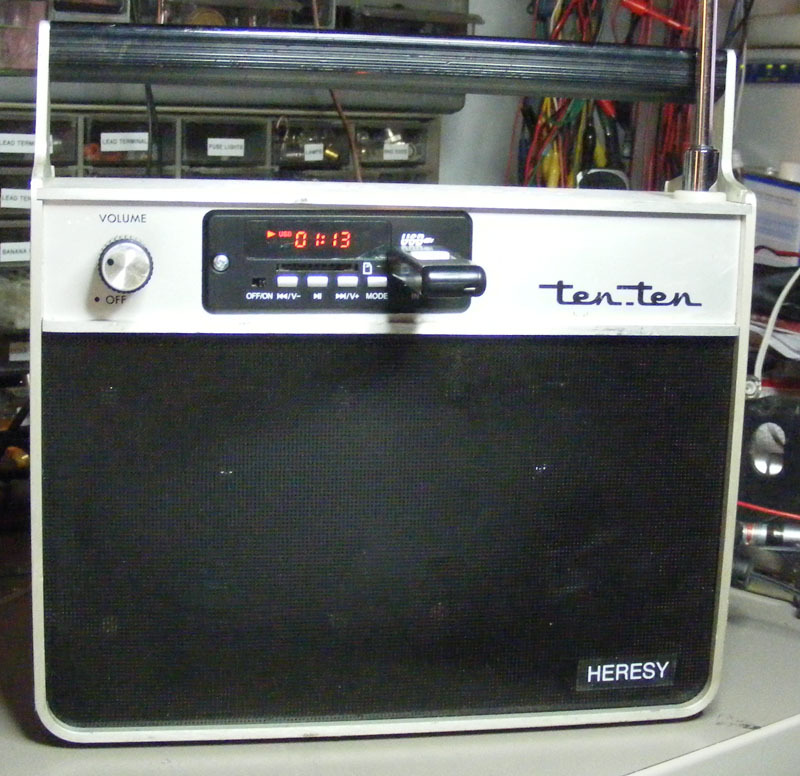 I built a small radio/boom box using the case from and old Federal Ten Ten and various and sundry parts. 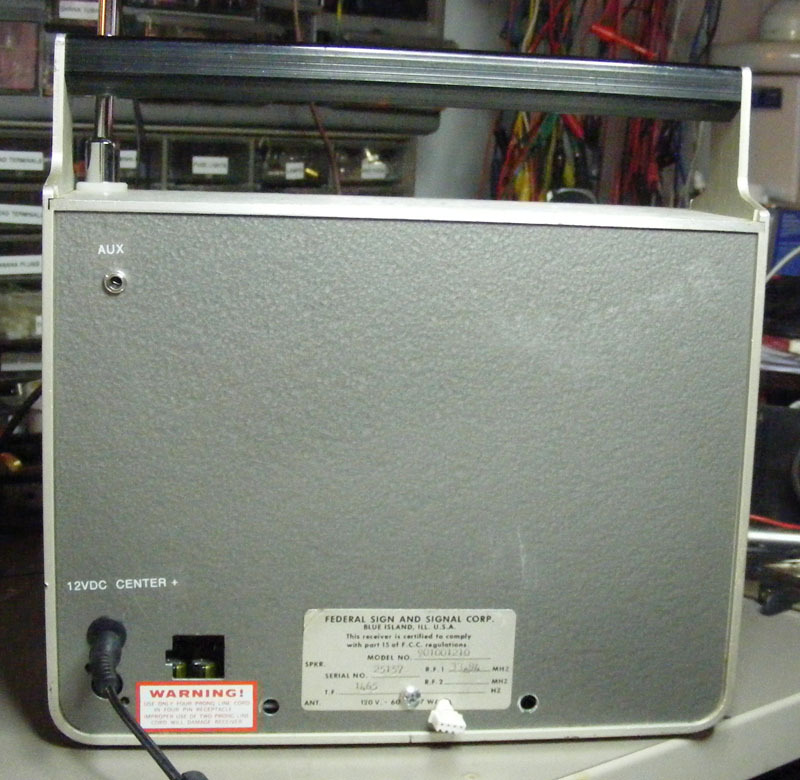 The first one was a VHF low version that only worked in the 30mhz range and was useless to me. 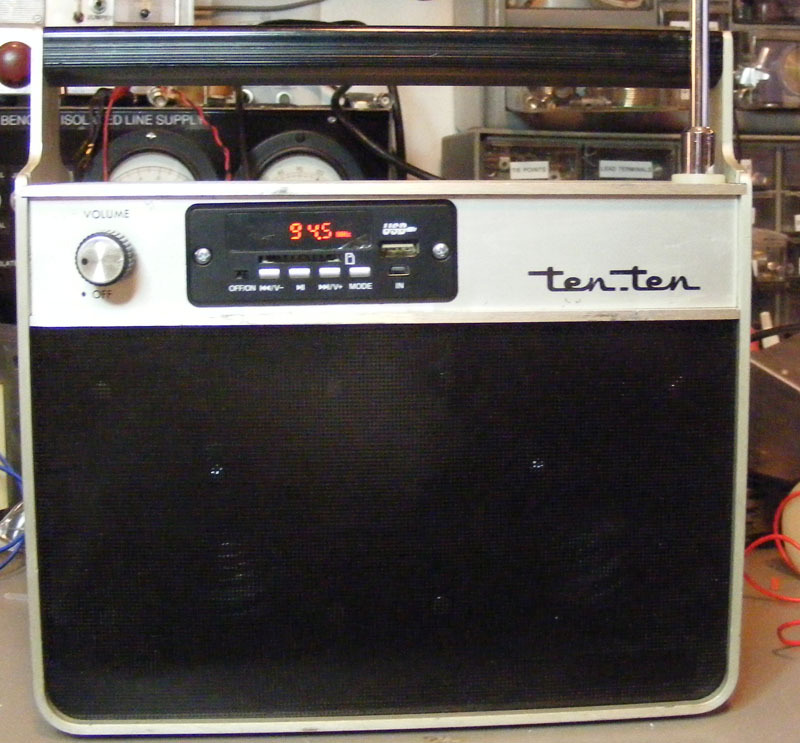 The second one was the VHF High version but was dinged up. Luckily this radio can be completely disassembled and I was able to make the VHF high look good as well as get the correct crystal I needed. 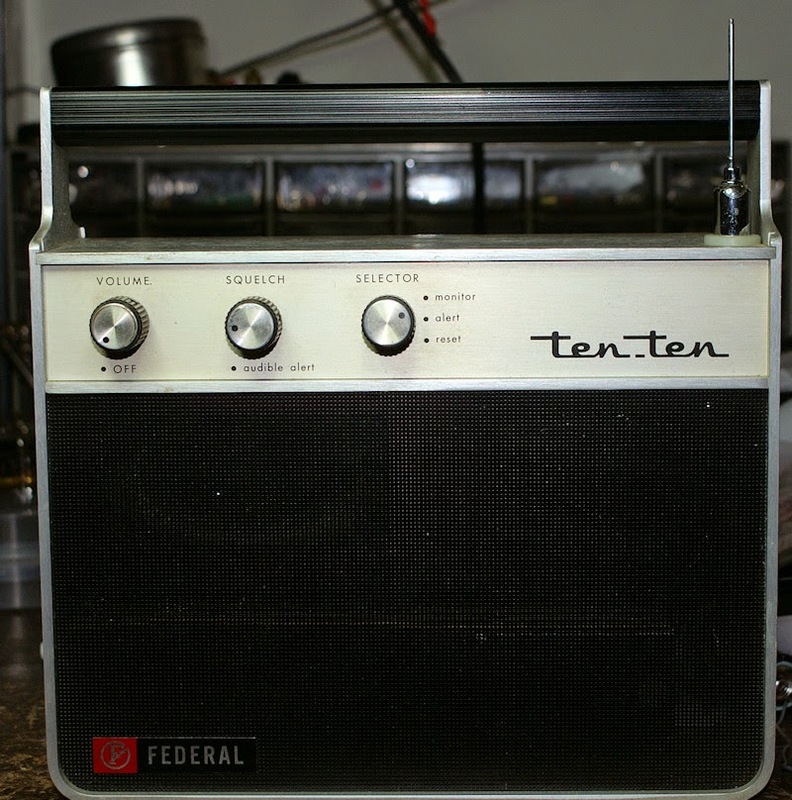 The remaining Ten Ten had a broken antenna and while it worked, I have no use for a 30 mhz radio. I gutted it and am now in the process of building speaker mounts. I also was able to fix the antenna using one I had purchased in a lot of 12 from ebay. I will be building a small 12 volt linear power supply (Possibly regulated). The speakers are 2 - 4 or 8 ohm (not marked) speakers that I got from somewhere (maybe computer speakers). I found a piece of brass for the panel to mount the speakers to. Painted the front of the panel. 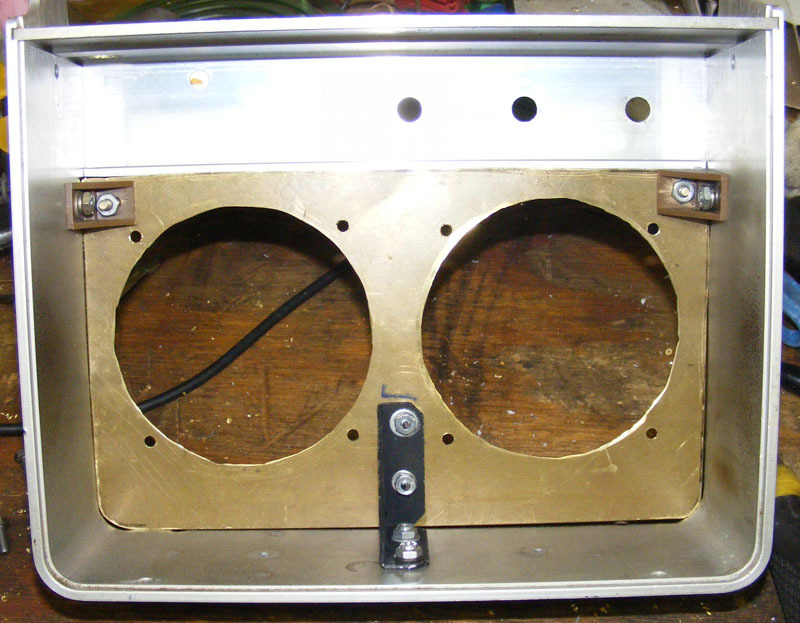 Cutout the space for the radio, mounted it, the speakers, battery, and the amplifier in the case. Wired up the the external power and the antenna. 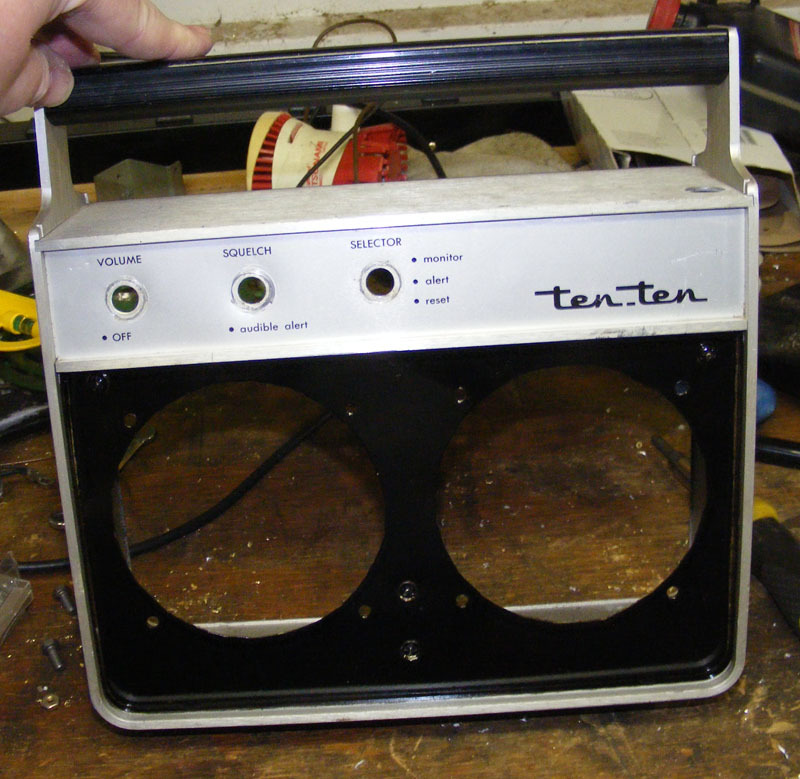 I had reversed and painted the speaker cover as the original finish was in bad shape. The switch is just and on/off switch as the amp does not have a volume control, the volume is controlled by the radio or the remote. I have to open the back to charge the 2200mah LIPO. 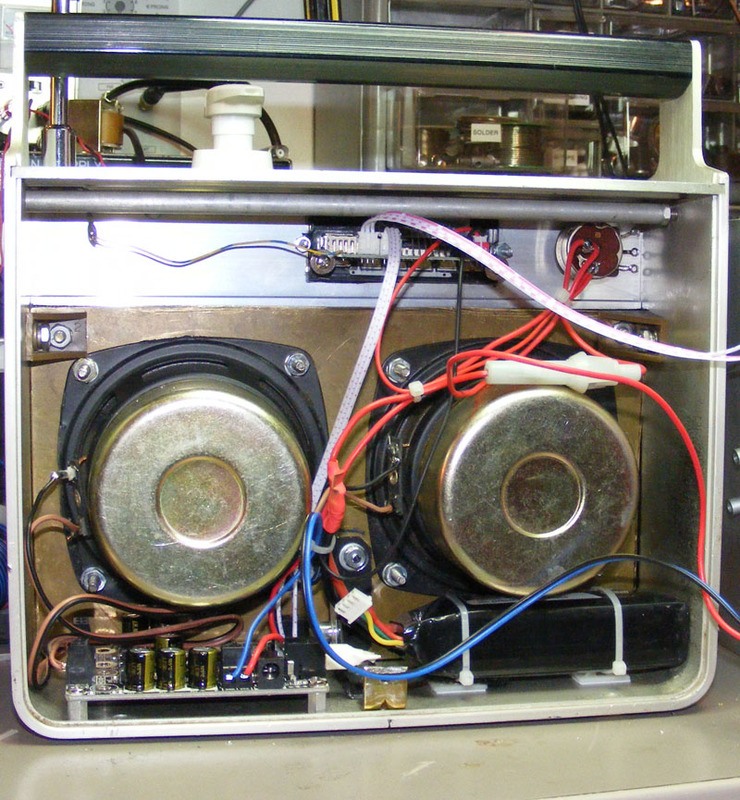 The amp draws 2 amps at full volume (supposedly) and the radio draws a max of 500ma. At normal listening volume the radio could run for several hours on battery. There is a 2 amp fuse on the battery. Total time to build about 10 hours. Some minor finishing touches (a name tag). Labels and charging connector for the battery on the back of the radio. Yes it sounds pretty good and puts out more volume than I would ever need.